The Iglesia de Nuestra Señora de la Merced Church was built in 1748 and is considered as the most amazing colonial church in Camagüey. The legend of this place goes that, in 1601, a miraculous figure emerged from the depths of the water and since that moment, the place became a place of worship. In the cloister attached to the church, the convent is distinguished by its arched interior in two levels; its eerie catacombs in which members of the Church were buried until 1814; and the Holy Sepulcher, an impressive solid silver coffin. 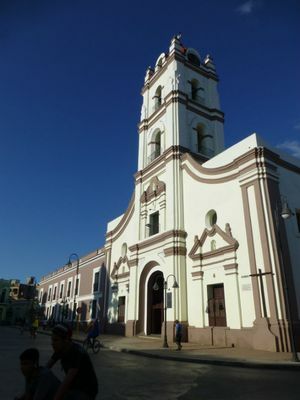 Plaza de los Trabajadores Square, Camagüey, Cuba.